It was bound to happen at some point or another: my left ankle, always a problem for me, decided to flare up and start causing serious pain while running. 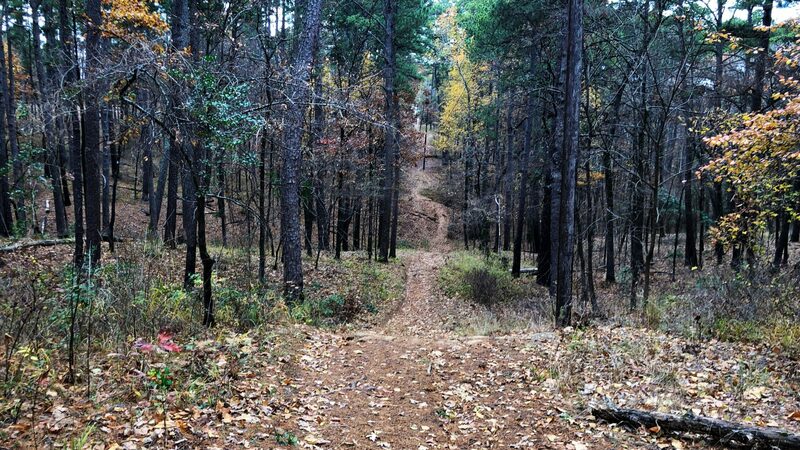 In the past it has forced me to DNF backpacking trips and hikes, and now a few runs. The signs all point to IAT ((I)nsertional (A)chilles (T)endinopathy)), but during past episodes it has been written off as a strain or sprain by medical professionals. Could be both, since a strain can be defined as the aggravation (stretching or tearing) of a tendon. Ultimately the fix is (R)est, (I)ce, (C)ompress, and (E)levate (RICE). You can do flat eccentric heel drops as a strengthening exercise to hopefully prevent it from reoccurring. I’m doing all of those things – and three sets of fifteen, twice a day, on the heel drops, and after four days of rest it was feeling pretty good. Left the house for a 10K run and had to bail about 2K in, because at that point each step ran a sharp lightning bolt up my leg all the way to the small of my back. So I came home, having logged only twelve miles for the week, and unable to log more. My weekly mileage has been in the 20-35 mile range for the past few weeks, and my activity minutes (time spent with elevated heart rate) well over 600. It was 340 yesterday, far short of what I’m striving for. I sat on the couch for a while, then decided I could turn my attention to cycling for a while and allow it to heal. I have two candidates: a 27.5″ mountain bike, which was purchased almost exclusively for RV use, and was stored in a carport (covered storage) on a bike rack at the rear of our fifth wheel last winter, eventually gathering a lot of rust on components, and quite a bit of damage, despite my expectation that it would be fine. I brought it home from the garage and thoroughly cleaned and oiled it, but will need to replace a few parts before it’s quiet and comfortable to ride again. And second, my KMX trike. It is a custom build with SRAM X7 and Avid BB7 brakes (mountain bike components), extra wide BMX tires, and a heavy steel frame. Not what you want to use for long or fast rides. I’ve been wanting a road bike but am not interested in spending the money for one – the ones that will grow with you as you become a serious rider start at over a thousand bucks, and I don’t want to sink that kind of money right now. Eventually I’d like to get one, because among other reasons, they’re a lot easier to travel with than a trike. I remembered that a few years ago I bought a trike trainer that turns the trike into a stationary vehicle with progressive resistance, which fit the day perfectly since the skies opened up and trails near our house began to flood while Kelly was finishing her 35 mile ride yesterday. I dug through the closet and found the trainer, and set up in the living room. 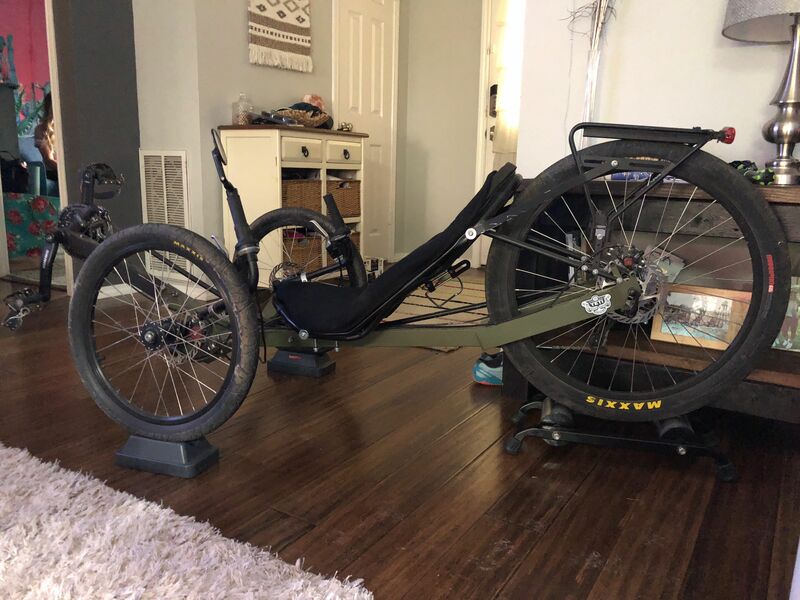 I took the Garmin speed and cadence sensors off Kelly’s road bike and put them on the trike to measure speed and distance, and pedaled for an hour and twenty minutes to the Lore podcast on Spotify, a total of twenty miles. After the ride, I ordered my own sensors and swapped her’s back onto her bike. I decided that even though it’s not the right kind of cycle for the activity I want to be doing, it will do a great job of improving my fitness and costs a lot less since I already have it. The primary issue with the ride yesterday was that my heart rate stayed in Z2 (easy zone) for almost the entire ride — great for endurance building, but overall not great for cardiovascular improvement. Something I will have to figure out, because my long runs on Saturday usually see an hour or more in Z4 (there are five zones) and that is what I am trying to replicate.